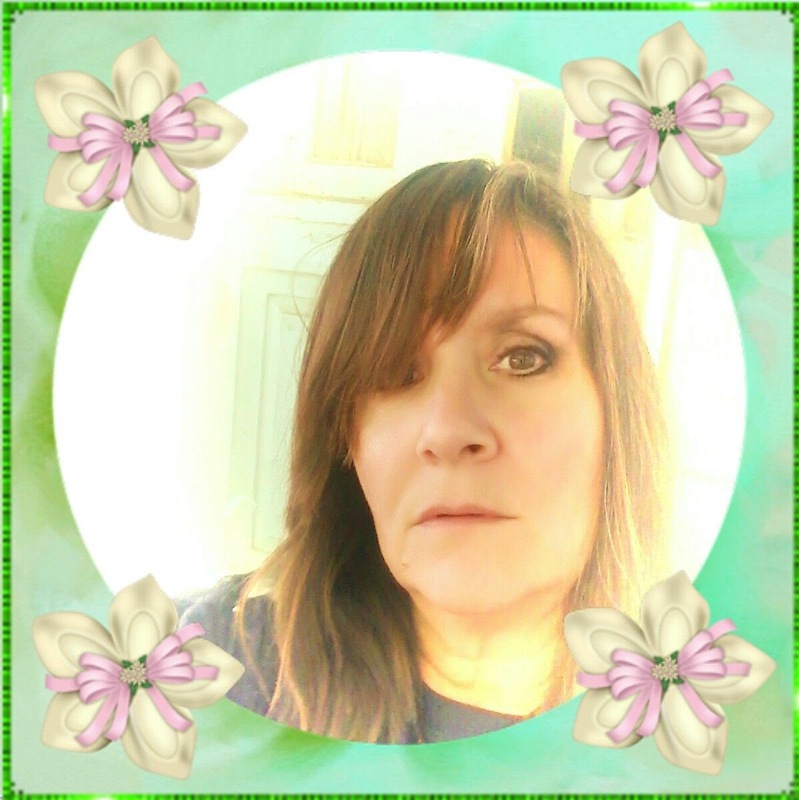 IAM delighted to introduce you all to the magnificent Michelle, a fellow Divine Blogger over at musingsofmeanderingspirits. I haven’t know Michelle so long, so I have been keen to get to know more about her and her life. Michelle has experienced her fair share of Human hardship… the climax being the suicide of her eldest son John in 2014 that actually brought about her freedom and coming out of the psychic closet and begin another part of her journey… channeling loving wisdom from the afterlife with the help of her son John… and so much more. Her son John first helped Michelle re-claim her own true essence, her authentic self and live her life to the full in freedom and now together they inspire others, through her blog and YouTube channel, of how essential it is to choose to love yourself completely and live in freedom as your authentic self… no matter what society thinks and says. I know IAM not the only one who knows how essential it is now to have many Divine sisters and brothers working effortlessly with this same message… inspiring hearts to open and to choose to reclaim their authenticity and transform, either living further on the physical plane, sensing and creating New Earth from within (a world of unity and harmony) or crossing over from the physical to ethereal plane with dignity. Maybe as Michelle completes another of her purposes here on Earth, she will choose to continue focusing her beautiful energy on helping more people who are suffering and dying with dis-ease of the body and mind. In the meantime, Michelle is following her life long dream to travel as a nomad through America in complete freedom, enjoying the new sensual energies she is perceiving in the 5D world/New Earth. She is at this moment putting together the final details for her visit, with her son Christian to Sedona. IAM sure Michelle will take her brushes and canvas’s for when she has a quiet moment to paint some more beautiful SoulArt to help fill the physical world with joy and harmony of her 5D world and share her writings about her new adventure sensing New Earth on her blog. It is time for Humanity to live a most sensational life here on the Earth plane, sharing with others the new potential that is available for open hearts to receive and enjoy. I look forward to hearing all about your new perceptions on your new adventure. If you don’t know Michelle… I urge you to pop over and say hello. From the time I was a very small child I was very focused on the cruelty I saw around me. At school or playing outside in our neighborhood (we actually did do that back in the day! ), I watched as other children picked on, teased and were, many times, physically abusive to other children. I began to have a very strong feeling that things were not quite right on this planet, in particularly with human society. I very strongly felt that this was not the way it was supposed to be and being with other children became painful and difficult even though the cruelty was very rarely directed at me. I remember my mother telling me that things would get better when I became an adult and was no longer in school. Unfortunately I found this to be very untrue. Adults are just as cruel and maybe even more competitive than children. The difference is that adults commit cruelty in a much more subtle and sophisticated manner most of the time. To this day I am very confused about how things operate here and feel as if I do not fit in. I was raised in a very black and white manner. There was a very long list of rules of what should and should not be done, what was appropriate and inappropriate, how I should feel, how I should think, what I should do with my life, etc. Anything outside of these set rules caused punishment and withholding of love and affection. I felt as if I were living in a prison and could not be my true self. I began to notice that this was not unique to myself or my family but that most of society lived this way. I found this to be very sad. In my opinion, it is ignorance that has led to this cruelty and rigid rules of society. Ignorance breeds fear and fear breeds cruelty. We have been conditioned to fear everything and anything we do not understand with no attempt to try to gain knowledge. We have been taught to not think for ourselves and blindly believe and accept what society has conditioned into us. This conditioning causes true Love and Compassion to be erased from our Spiritual memory. The road to compassion begins with opening one’s mind and heart. It begins with yourself. Accepting yourself for who you truly are beyond the confines of society, expressing your true essence and, more importantly, loving yourself. When you can do this for yourself you will then begin to have compassion for others. It seems to automatically spread when we can love ourselves first. It is the “Ripple Effect”. Being open minded does not mean that you must agree with everything and everyone. We are born to experience individuality and duality; therefore, what is right for one is not right for another. Being open minded is being able to accept that although you might not agree with someone’s path or that path is not right for you, it is perfectly right for that person. You can accept the decisions and choices of others without hatred or feeling threatened. We must remember that we are all on different paths leading to the same destination. We were not meant to all take the same route to arrive there and that is perfectly okay. It took me many years to have the courage to discover, be and love who I truly am. It took the suicide of my oldest son, John, to be the change I wanted to see in this world. It was as if his “death” was the last straw for me and I stopped being a closet psychic medium, stepped out into the world and into the spotlight. I began to accept, love and have compassion for who I AM. This rippled over into me doing the same for others. Shortly after this, my son John and I began a blog where we teach about Spirituality, love, compassion, and what “death” truly is. Recently, we began a YouTube channel teaching the same. We believe that teaching these topics will promote Love and Compassion throughout this world. We understand that what we teach, not all are ready to hear. What we do know is that those who are ready and need to hear what we have to say will do so. We also often ask that others do not automatically accept what we say nor that they automatically reject what we say. It is our desire that everyone think for themselves, not believe blindly, and do their own investigating and have their own experiences. 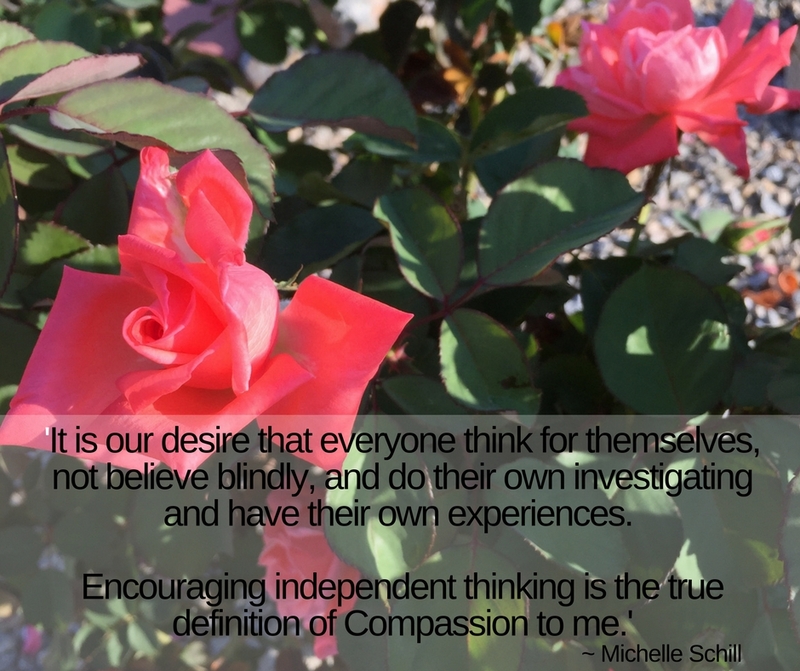 Encouraging independent thinking is the true definition of Compassion to me. My focus has been on Love and compassion. For me, compassion is allowing everyone to be who they truly are (their True Essence) without judgment. The freedom to be your true self and live your life in the manner that is best for you is experiencing true compassion. When others see that you can accept who they truly are without judgment, they will automatically pick up on your compassionate heart and, therefore, your unconditional Love. The good news is that I am encountering more and more people today who are promoting Love and Compassion. Whether it is because the circle I associate with has changed, I do not know, but I like to believe that the ripple effect is occurring and this world will rapidly change and become more compassionate towards humanity and nature. Freedom has always been very important to me. I have spent my entire life feeling trapped. I think that every person within the mass consensus is trapped whether they realize it or not. “Freedom is a right and not a privilege” is my motto. Whenever I hear the saying “Freedom Is Not Free”, I cringe. I cringe because this should not be. Every person has the right to freedom, whether it is the freedom to be and live their true essence or the freedom to do as they please. I spent most of my life hiding my true essence. I lived in fear of being found out. The problem was that society, particularly religion, was not accepting of who I truly am. I was born with the ability to see, hear and speak with Spirits. The actual act did not scare me, but others opinions and reactions did. At a very young age I knew not to share this information with anyone…not family, friends, acquaintances, etc. As a teenager I absorbed the fear of others and turned off my abilities. Any piece of literature, magazine, book or study material on Spiritualism, the occult, Spirit communication, astrology, etc. I threw away. From that point forward I ignored the Spirits around me and did my best to pretend to fit in and be “a good girl”. This caused me to suffer from severe depression for many years, to the point I was medicated and hospitalized on several occasions. Over two decades ago I lost two babies which were separate pregnancies. My depression became even more severe because I knew my children were with me but I was afraid to communicate with them. This broke my heart and I lived in a deep, dark nightmare for many years. As the years passed I tried to remain as normal and sane as possible and fit into the box. I did my best to get my two surviving sons to also fit into the box, which is something I regret deeply. On Mother’s Day morning, May 11, 2014, everything changed. The very worst day of my life set me free. My oldest son, John, took his life on that morning and I have never been the same since. After my son crossed over I began to use my abilities again but still tried to keep it secret. I went so far as to pretend that it was not happening…but it was. My son began to teach me about Spirituality and how to be free from the other side of the veil. Since that time my son and I began to write a blog, Musings Of Meandering Spirits. In this blog my son and I teach about Spirituality, unconditional love, unity, equality and, of course, freedom. This blog has changed shape a couple times over the past two years but the biggest change has been recently. We have decided to take Spirituality on the road! It has always been my dream, to live the life of a nomad but I was too busy conforming. Now that I refuse to conform I will be travelling America soon while maintaining my teaching and translating for my son and other Spirits who are sometimes guests on our blog. After making this huge change we decided to begin a YouTube channel called Musings Of Meandering Spirits, I am currently in the process of selling my material possessions and raising money in order to finance my travels through America. The YouTube channel has videos of me going through process as well as Spiritual teachings. It is of utmost importance to me that people understand that they have the right to their own lives and being themselves. 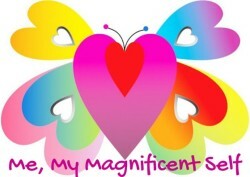 I want everyone to know that they are worthy…worthy of self-love, worthy of love from others, worthy of a happy life. I believe if we could understand that we do not all have to be same (whether in race, religion, caste system, etc.) in order to accept one another this world would be filled with love and a much, much different place. As for writing and being published, I am not very sure where that is going at the moment. My son and I have talked about writing a book together at some point and I have been mulling over the idea of beginning to write my memoirs of my Spiritual journey beginning on my birthday. I believe that all these things are very possible and will occur someday. Thank you so much Michelle for sharing yourself and your beautiful experience of Compassion and Freedom with us all. You are so needed on Earth right now to help people who are changing/transforming for their journey further on the physical plane and beyond. I know this is an incredible venture that is deeply impacting the world we live in. I have a couple of spaces left to reach my ‘perfect’ target. For more information and how to apply, please read my post here. Thank you for such a beautiful intro and allowing me to be a guest blogger! You mentioned about me helping others who are in the dying process and/or have terminal illnesses. I must have neglected to mention that I have already done this and in a way still do this. I used to work for hospice, which was the best job I ever had! I also worked for a cemetery at one time. I have always been drawn to this type of thing. I believe it is due to the fact that I feel the need to help others with their perceptions of “death” and being able to leave this physical plane with self respect and dignity. This is such beautiful post, inspirational, informative and well organized… I tried to like your Facebook page, I was unable. Thank you, Mihrank! Unfortunately, I have deleted my Facebook account. Many times I have tried to have a Facebook account but can never last on that particular social media platform. There is something about the energies on Facebook that has an adverse effect on my vibrational frequency. I have decided to stay with only WordPress, YouTube, Twitter, Tumblr, Google+ and Pintrest. My youngest son Christian finds this humorous and the last time I canceled my Facebook account he laughed and said “I knew it, mom! I was waiting to see how long you would last on Facebook!” He is very understanding about this because he is very much an Empath. Although he has a Facebook account he rarely uses it. Well written…and lived Michelle. And so very true that each of our paths are very different but all aiming for the one goal. Finding that self love over our individual bumps and grinds of life, and understand the truth of what we are. Thank you, Mark! I just wanted to say that I also enjoy your blog very much. You have such deep and profound wisdom. Thank you Michelle, it was all courtesy of going through that ‘dark night of the soul’ that we eventually reach in our lives and asking myself ‘is there more than this’, and then truthfully going looking. So spirit and I went on a journey, and as each of my fears were faced spirit would give me great understanding to go with it, even to the point of taking me on a journey of when we die. (If you wish to read that story it is on my site called ‘The Death’, mind you, after where your journey has taken you I don’t think I would be passing too much new to you 😀 ).